These guys have rapidly become an irish institution and are ambassadors for living a healthy and happy life. While they are vegan, they are very careful to advocate an all inclusive message of ‘eat more veg’. This is their third cookbook and I have anticipated it’s arrival since they announced its launch this May. It does not disappoint! It is jam packed with easy, user-friendly and incredibly tasty dishes. There is lots of the classic recipes from their YouTube channel, like Sheparless Pie and Three Bean Coconut Curry, which are staples in our house. They’ve also been very brave and tackled making vegan hot dogs and chicken nuggets in their ‘I cant believe its not’ section. My favourite section is ‘Fermentastic!’ which gives an intro to the art of fermentation, and simple reasons why fermentation is the king of all food for gut health. The only bread we eat in our house is fermented sourdough. Once you get into the rhythm of it, it becomes part of your routine and a family pet. I have to admit when I first encountered the lads I found their energy levels a bit scary. But there is no room for the Irishness of softly, softly, heads down when it comes to changing lives and making a difference in the often confusing world of healthy living. They are a testament to staying genuine to who you are and keeping a sharp focus on your mission. The book is widely available in any good bookshop, online at Amazon and online or click and collect from Eason. 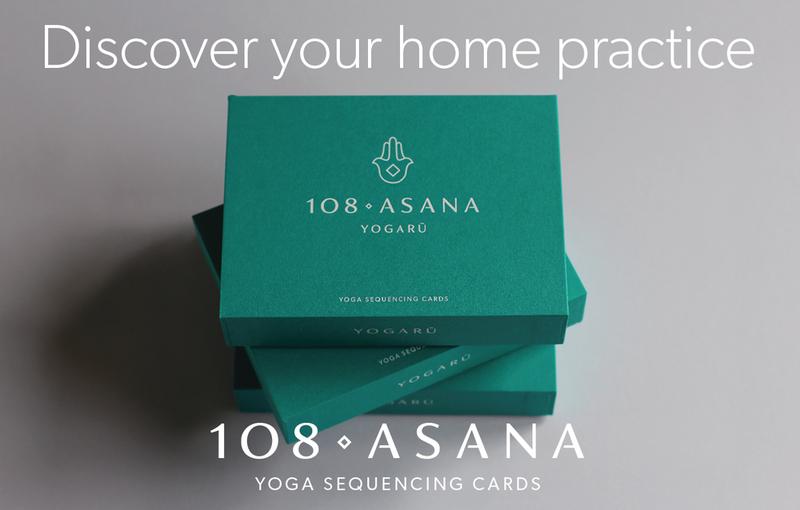 I can’t quite call this a May Favourite Find because I have been listening, and relishing, every single of the 103 podcast from Yogaland since they started! Andrea Ferretti is a yoga writer based in San Francisco, who has over ten years experience with writing and interviewing inspirational yogis for Yoga Journal. With all this knowledge she launch Yogaland, and brings thought provoking weekly interviews with many of the big names in the world of yoga. There is a wide range of yoga related topics, for practitioners and teachers alike. It’s an absolute must, there is no other yoga podcast that comes close to it! Some of my favourite episodes are her interviews with Jason Crandell, her other half. They go deep into the practice, and particularly as a teacher, I’ve learnt so much from these episodes – these are ones to relisten to a few times with a notebook and pen. Jason has a mind blowingly extensive knowledge of yoga, with a passion for anatomy and alignment as a gateway to a deeper understanding of yoga on and off the mat. I look forward to finally training with him this September in Flow Studio, Belfast. I first encountered China Gel in a yoga workshop where the teacher rubbed it onto the back of our necks after a long practice and I was hooked! The tingling sensation is both cooling and warming and your muscles simply melt. It is a natural herbal remedy that helps relax your muscles and encourage fresh blood flow – which aids faster recover if you have an injury, or releases any held tension from daily stresses or movement and exercise. It contains seven natural herbs – menthol, camphor, lavender, angelica, ginseng, aloe vera and witch hazel – giving it a invigorating scent and an easily absorbent texture. I use it everyday, after my practice or a run, on any areas that feel tired or have had a deep stretch. I use it with Yogandha oils particularly on my legs to make sure they are restored and ready to run, walk and practice the next day. China Gel is currently not available in health shops in Dublin. I loved it so much I applied to be a stockist so I could keep using it myself! It’s available in my Yoga Shop in 4oz or 6oz.